My little brochure of the 100 best places to eat is becoming quite dog eared, but it continues to direct me to some really good restaurant's and eateries across the state. On Sunday it was Top O'the River location in Gadsden, Alabama. 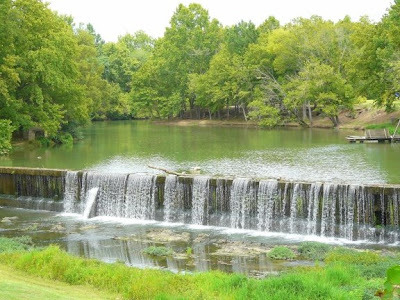 Situated along the banks of the Coosa River the restaurant specializes in catfish and seafood. Top O the River is a seafood restaurant serving food on a metal plate, corn bread in a skillet, and coleslaw in a metal mug with a spoon. This establishment is highly recommended by the many of the locals. If your looking for fine china, linen napkins and polished silverware this is not the place. However if you want good food at reasonable prices, this restaurant is worth the stop. The Catfish plate is a bargain for 9.95. My mother, who was my dining partner, instead opted for the shrimp plate for $12.00. The meal came with coleslaw, cornbread, potato and 8 good sized shrimp. I chose to get a baked potato and eat the "free sides" that come with every order. The sides included were cornbread, coleslaw and pickled onions-as much as one can eat. The menu offers a variety of seafood and steak items, but also included the unique deep fried pickles, onion rings and spicy greens (turnip greens). Fortunately when I went in for a late lunch I avoided peak times and would suggest to go either a bit later or early, as the restaurant tends to get somewhat loud towards those 'peak' times, (11:00 - 1:00 p.m. and 5:00 - 7:00 p.m.), with all the large groups and families coming in. The restaurant offers a children's menu and stocked bar. Visitors of all ages will like to see the three-to-four foot catfish in the lobby tank. Over all the experience was very enjoyable and the food was very satisfying, my only complaint was slow service after our food was served, but I am certain that is not the norm. Top O the River-a nice family establishment. **There are additional locations in Anniston and Guntersville. Instead of Best post of the week this week, let's all link up our favorite Christmas post. I can't wait to read about your Christmases!! Did you know that Alabama was the first state in the Union to declare Christmas a legal holiday? It's true this occurred in 1836. 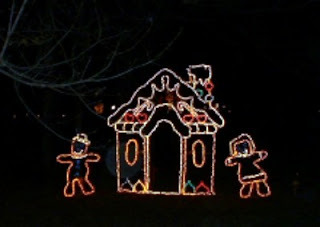 There are several towns that have great Christmas light shows during the holiday season. I thought I would highlight a couple since Christmas is this Friday. 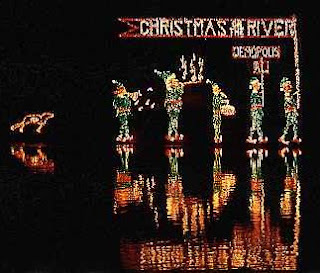 Christmas on the River is held each year in Demopolis. It debuted in 1972 and today has developed into a week long festival. People come from all over the United States to attend this celebration. Last year they had an attendance of 40,000 people. The week starts off with the Lightning of the Love Light Tree the second night consists of Crowning of St. Nicolas & the Lantern Light Parade. The rest of the week is packed with other celebrations, singings, fairs and candlelight tours of the older homes. It is all topped off on the last night with Christmas on the River. A wonderful display of floats all decorated with Christmas lights. It is really a beautiful sight seeing the lights dancing off the water. A fun treat for the whole family. Now we are going to head up towards the northern part of the state. Huntsville Botanical Garden's Galaxy of Lights is another great Christmas light show. This is a walk through or a drive through which ever you'd like. I would suggest the walk through though. They also hold a Walk Your Dog Night for all you (like me) dog lovers. They have synchornized, animated, musical displays that are really a lot of fun to watch. The Galaxy of Lights was listed last year and this year as one of the Southeast Tourism's Top 20 Event. That is really quite an honor and once you see their display for yourselves you will know why. Now if you are looking for something locally you need to hop over to Grayson Lights. Grayson Lights is located in Grayson Valley. Their display consists of 35,000 lights and synchronized to music. While sitting in your car you can tune your radio to 100.1 FM and watch the lights dancing in rhythm to the music. Another local light show is right in my own neighborhood. Fultondale Lights is also synchronized to music and you also can sit in your car and listen to 88.1 FM. The Fultondale Lights consist of 40,000 miniature lights, over 40 light plastic figures, 35 strobe lights, hundreds of yards of rope lights and it goes on and on. Since you can actually see the display from Highway 31 N a lot of people just pull up on the side of the highway and watch the display from there. I must tell you that from personal experience during the last week of Christmas the entering and exiting of our neighborhood is quite crowded. It doesn't bother me at all because I enjoy the lights and I also have enjoyed this year showing my grandson. There are about three other families across the street that decorate their homes almost as elaborately - without music though. I am pretty sure that all of the light shows are still operating except for Christmas on the River. If you know of any other great light shows please leave the details in the comments. One of the best things about Christmas are all of the beautiful lights!! I hope you all have a Merry Christmas!!! 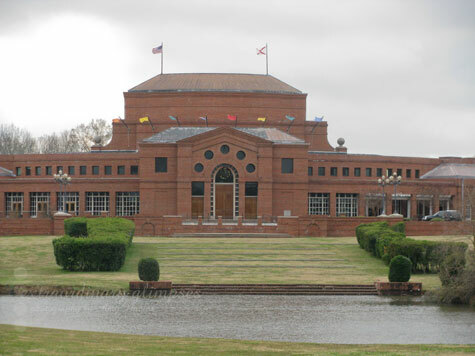 One of my favorite places in Alabama is the Alabama Shakespeare Festival. 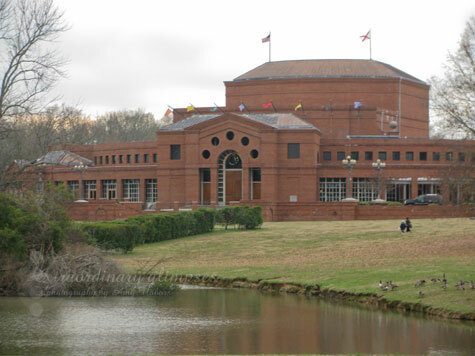 Originally the Alabama Shakespeare Festival was located in Anniston, Alabama. ASF was a summer theater festival performing for 6 weeks during summer in an unairconditioned high school auditorium. In the early 1980s the festival was facing bankruptcy and board member Carolyn Blount took the problem to her husband Wynton Blount. In December 1985 the Carolyn Blount Theater opened and was the single largest donation in the history of American Theater. ASF is one of the few American theaters to remain financially stable and is the 6th largest Shakespeare Festival in the world. Over 400 performances are scheduled each year including 3 Shakespeare plays as well as plays for children and many others. Upcoming performances scheduled for 2010 are Harriet's Return, All's Well that Ends Well, Hamlet among others. The theater is set in Blount Cultural Park, a 250 acre park in Montgomery which is also home to the Montgomery Museum of Fine Art. 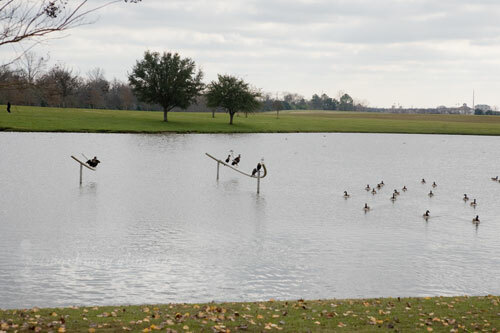 English style grounds and lake make the park bring a relaxing aspect to the otherwise busy city. There are two theaters at ASF. The Festival stage with 750 seats and the 250 seat Octagon is the more intimate theater of the two. ASF is also home to the Southern Writer's Project. SWP is dedicated to giving southern writers a theatrical voice. The performances at ASF never disappoint. I always enjoy a trip to Montgomery to see a production at ASF. 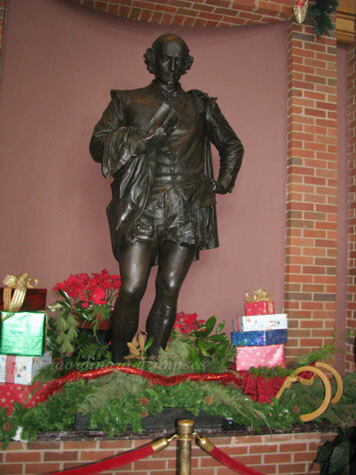 So have you visited the Alabama Shakespeare Festival? What performances have you seen? Did you enjoy your visit there? If you've never been I hope you will check it out and one day visit and enjoy one of the jewels of Alabama. Some information for this post was gathered from ASF's website. All photos were taken by Amy Nabors. After leaving a Homestead Hollow event in Springville, the group I was with all found ourselves starving. Someone in the group suggested a place due north west of Springville called Benedikts. We pulled into the lot of this small building that resembled an old country gas station of store. "Is this it? ", I asked. It was. In entering the place it had a "rustic charm", after you get past the shower curtain room dividers and the cats at the front door. Benedikts is a very unpretentious place of rural charm, located about 40 miles from Birmingham. The food called us all to the table, for it smelled delicious. The service is very laid back (there were only a couple ladies working) and the buffet bekons visitors to serve themselves. The buffet consist of country favorites like chicken pulley bones, fried chicken, fish, mashed potatoes, black eyed peas, cobbler, marinated salad (exceptional!) and fresh rolls and biscuits (to name a few). All items are homemade. Benedikts is certainly a place that, if you are old enough, will conger up fond memories of Sunday dinners, sitting at the dining room table with family members. Benedikt's is run by two sisters, Ruth and Joice Benedikt. They've been in the restaurant business for 29 years, most of it in a little place called Yampertown new Guin in Marion County. They retired about 10 years ago, bought an old grocery-filling station on a county road in Big Woods and opened what they thought would be a retirement store. However, the word of the food is out and they are doing good business. Not only with the restaurant, but with the catering and bakery as well. I noticed a sign on the wall that suggested if you cannot locate your waitress that you stand and sing the star spangled banner. I gave it a try (yes, I really did! !-at the surprise of my lunch group) and certain enough our waitress appeared to bring a bottle of hot sauce for greens. Drinks, breads and desserts are all "help yourself". This visit was certainly an adventure of something different. I will return. The place indeed does have a "rustic" feeling where the food warms the soul of any southerner. It is a place that you too would want to take a friend-at first to see the initial reaction and then to experience the good food. Benedickts serves up some mighty tasty food, pleasant service, comfortable atmosphere, and has very reasonable prices. If there is one thing that the Benedikt "girls" know, it is good food! A piece of advice, Don't stop in without taking home a bottle of their Heavenly Barbeque Sauce concentrate or the Heavenly Cole Slaw Marinade (my personal favorite). You also might want to purchase one of their famous pound cakes or pies (They make them fresh daily.) It is worth the trip from town. Actually the trip over the mountain is worth the trip-gorgeous views and peaceful country road. Tell those sweet sisters I said, "Hello". Benedikt's is on Blount County 27, 11 miles north of Springville. From Birmingham, take Interstate 59 north to Exit 154 in Springville. Turn left on Alabama 174 and continue across U.S. 11. The road eventually becomes Blount County 27. Benedikts is on the right. Use caution on the mountain road. Hours: Sunday, Tuesday-Thursday, 9 a.m.-5 p.m.; Friday-Saturday, 9 a.m.- 9 p.m. Closed Monday. Phone: (205) 274-0230. Wednesday & Thursday - LUNCHEON ONLY: 11:00 a.m. until 2:00 p.m.
Friday: Luncheon is served from 11:00 a.m. until 4:00 p.m. Supper is served from 5:00 p.m. until 8:39 p.m.
Saturday - Breakfast is served from 8:30 a.m. until 11:00 a.m. Luncheon is served from 11:00 a.m. until 4:00 p.m. Supper is served from 5:00 p.m. until 8:30 p.m.
Sunday - Sunday Dinner is served from 11:00 a.m. until 4:00 p.m. Carry Out orders are available. I took a Twitter poll a few weeks ago and decided against doing a December meet-up since everyone is so busy with the holidays. However, I figured I would go ahead and announce the January meet-up early so that you could make sure to get it on your calendar! We've been having a great time visiting, brainstorming, and learning at our meet-ups, so I hope you can join us! The next meet-up will be Thursday, January 14th starting at 11:00 (come late if you need to - we're always there for quite a while!!) at Qdoba in Homewood (it's like Moe's, only better). RSVP on this post if you hope to make it! I'll remind everyone as it gets closer. It's football season, and for many it endears a road trip to ones favorite college town. For me, it's Tuscaloosa, where I can enjoy a lunch with my son, "Bama" who happens to be attending the University of Alabama. Those that are making the trip will not want to miss out on the hamburger among hamburgers at Mugshots Grill and Bar. My son, Bama claims that the Mugshots burgers are the best he has ever eaten. And that's alot of burgers. Alot. Last week my mother and I made a roadtrip to Tuscaloosa for some personal business. Yet, we made sure to carve in some lunch time at MugShots! Mugshots was created by two college graduates that had dream of owning their own restaurant that served great food and cold drinks at a fair price. They succeeded. With a menu comparable to a Buffalo Wild Wings or Bob Baumhowers, there is something for everyone. I decided to splurge (so much for the weight watch). I got the Mombo Combo Appetizer Plate. It comes with your choice of three appetizer sides. I chose the Davis Dill Pickle Chips, Scooter MooCow Cheese Wedges and fries ($8.50). Mom got the Bond (Howard not James ) Sandwich, a 6 oz. grilled chicken breast topped with cheddar cheese, smoky BBQ sauce, lettuce and tomato ($6.95). The food was great. I hardly ate 1/4 of mine as it was huge. Mom could only finish half of her sandwich. Bama (at home) lucked out for he was the recipient of our left overs. While at Mugshots it is fun to read and look over the walls. Customers are asked to submit photos of themselves wearing the Mugshots logo T-Shirt while they are either doing something "notable" or on vacation somewhere. I took a photograph of Bama wearing his sometime ago and did send it in. Maybe if we're lucky it will grace the walls of Mugshots Fame. 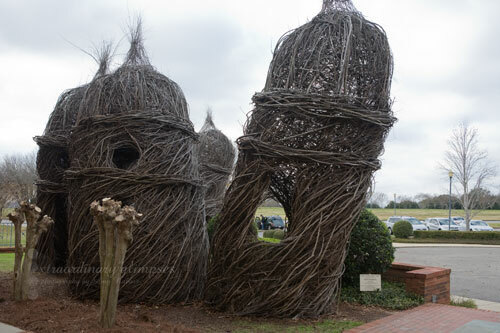 If you would like to visit a quaint little town, Abbeville, Alabama is the place to go. Abbeville is the county seat of Henry County. Established on December 13, 1819 it is the oldest county and city in the State of Alabama. Actually it was made the county seat one day before Alabama became a state. Being the largest county in Alabama at the time it was also the first county on the eastside of the state. 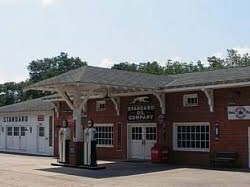 The above picture looks like an old gas station but it is actually the headquarters of Great Southern Wood. You may know it better as Yellawood. The company cars actually fill up at the pumps. Inside takes you back to another time with it's 1950's decor. Jimmy Rane, the owner and spokesperson for Yellawood, is no doubt a familiar figure to you. He has helped renovate Abbeville. He loves the early 20th century way of life and that is shown in various places in town. He also hosts a golf tournament every year for the Jimmy Rane Foundation. The single biggest fundraiser brings out the superstars of football and basketball. Proceeds of the golf tournament are used for college scholarships. His foundation has helped a lot of our youth's dreams of going to college come true. The Seniors of Abbeville enjoy spending time at The Senior Center built in 2004. It hosts activities and social events for the 50+ crowd. It also provides bi-annual medical screenings. Not only can the seniors enjoy the company of others they are also provided with daily meals, games and special events. The center also provides transportation for those who need it. 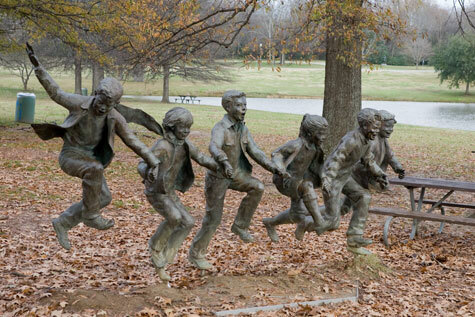 The youth enjoy spending time at the Parks and Recreation. 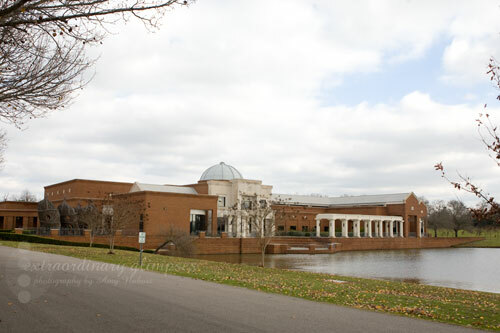 Along with city league sports the recreation center also offers Sundown Theatre for all of the family to enjoy. 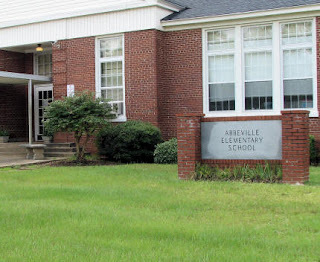 Home of the Yellow Jackets Abbeville has three public schools Abbeville High School, Abbeville Middle School and Abbeville Elementary School. Abbeville Christian Academy is a private school and one of the biggest events is their Annual Deer Hunting fundraiser. 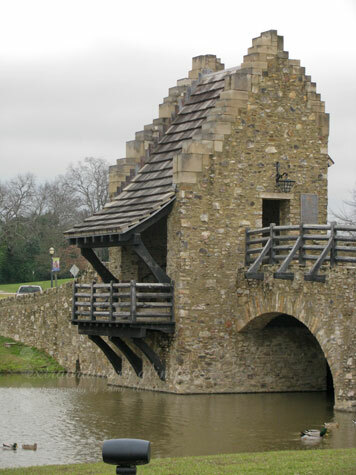 So next time you are traveling toward the south eastern side of our great state stop and visit Abbeville. Remember this is an old southern town. If you want to have the benefits of shopping or visiting some of the local business' make sure you don't visit on a Sunday - there won't be anything open! 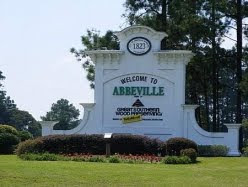 Don't forget to visit their website to find out more about this great town, Welcome to Abbeville, The City of Dogwoods. Hello! First of all I want to say thank you. 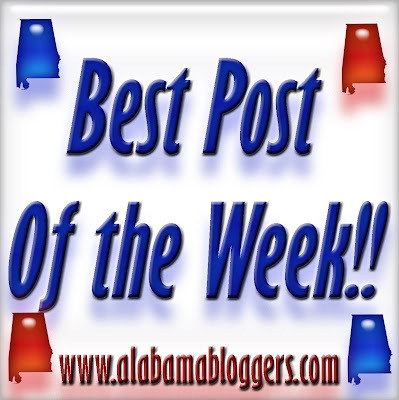 Thank you to Rachel for allowing me to share my perspective on Alabama and to you the readers and other Alabama bloggers. If you've read some of my previous posts you now know a few of the reasons I think Alabama is such an extraordinary place. Our state is filled with wonderful and unique places, experiences, stories and people. From small town quirks to authors there are many reasons why I love our state. I will have much more to share with you about other places and stories that I think make Alabama such a wonderful state, but today I want to hear from you. I love hearing everyone's perspectives on this subject. What stories, places or people make Alabama so extraordinary to you our readers? Share them in a blog post and link in the comments below or just share in the comments. I'll be taking your links and comments posting them here very soon. 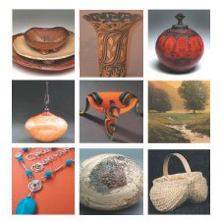 Support Hunger Prevention AND Buy from Amazing Alabama Artisans at Discount Prices! Need some great Christmas presents? The Blue Light Special Art Show will be held the 12th and 13th of December from 9-4 on Saturday and 10-4 on Sunday at Cahaba ClayWorks and Earthborn Studios located at 7575 Parkway Drive in Leeds—just up the hill from the new Bass Pro Shop. Celebrating its 21st anniversary, this unique event embraces the imperfect or flawed ‘seconds’ that never see the light of commerce, as well as the best each artist has to offer. You'll find mark-downs and special pricing with all the artists. The Blue Light Special Art Show is one of Birmingham’s best-kept secrets—and longest running art shows. Last year Cahaba ClayWorks inherited the show that for the past 20 years had been hosted by The Unitarian Church of Birmingham. Blue Light means bargains--discontinued items, slightly imperfects, atypical items—all priced to move, mixed together with award-winning art. Admission to the art show is just $2 (with a portion of those proceeds going right to charity). Join with us to support ‘Empty Bowls’ a hunger-prevention endeavor pairing local chefs and local potters (Susan Freeman, Larry Allen, Tena Payne & others) who will be providing lunch. For a nominal donation ($25) you’ll get hot soup and bread served in handmade bowls, which you keep as a reminder of all the empty bowls in the world. Proceeds go to First Light Women’s Shelter. 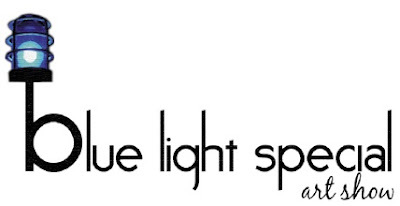 For more information and directions, go to www.bluelightspecialartshow.com. I love a good storyteller. I might fancy myself as such, but then I remember I begin a tale and then wind it up six topics to the right. And I can't quite remember what you and I were even talking about in the first place. But that's not the case with Alabama blogger, Laurel Mills. At It is What it Is, Laurel spins stories about all kinds of things that always seem to resonate. She tackles pop culture and you start searching the web. She wrestles with religion and you begin to meditate. She writes about family and you call your Mom. Her expertise with the written word is not surprising with a resume including magazine editor and writing professor. Her previous employer, Lipstick Magazine, is still missed by yours truly. When you visit Laurel's blog, make sure to take a seat for her Black Friday Scene-stealing and her Birthday Lamentations. Don't Miss this Christmas Concert...And a Giveaway! Birmingham is the home of a lot of very talented musicians, and at the top of that list are the artists involved with Red Mountain Music. Red Mountain Music is a group of musicians from the community that come together and make stunning and modern arrangements of obscure hymns. The hymns are so deep in their language and thought, and the music is so beautiful that the combination is a truly worshipful experience. Red Mountain Music travels all over the country performing concerts, and are very well known in the music community, so we should feel VERY privileged that they are from our state. Last year, Red Mountain Music made a Christmas CD . They also performed a Christmas Concert at Workplay in Birmingham that Chris and I attended. It was by far the most “Christmasy” thing we did all season. The concert was amazing, the Workplay venue is intimate and romantic (if you haven’t sat in one of their romantic booths and cuddled up while listening to Christmas music, you haven’t lived!! ), and there couldn’t have been anything better to get us in the Christmas spirit. This year, they’re giving the concert again, except this time, they’ll be mixing in their regular music with the Christmas show, so it will be a wonderful sampling of all of Red Mountain Music. The date is December 21st at 8pm at Workplay. Tickets are only $5, a steal of a price to get to experience such superior talent. If you’re in the Birmingham area, this really is a show that will complete your Christmas – I promise! ….just don’t take all of the cozy booths before Chris and I arrive. 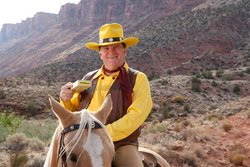 But, whether you’re in Birmingham or not, I want you to have the opportunity to enjoy Red Mountain’s music. They were gracious enough to provide 5 CD Prize packs for me to give away to you! This contest is on my other blog, Grasping for Objectivity in my Subjective Life. To win one of these prize packs, head on over and comment! By the way, RMM has some great Christmas promotions going on if you are interested in giving their CD's away as Christmas presents (or want some for yourself) - be sure and check it out! And if you’re in Birmingham, I promise you will be SO glad that I talked you into going to the concert!! I was not compensated in any way to write this post. I sincerely and with all of my heart love Red Mountain Music, and simply want to share it with you. The Bar-B-Q Place, located in Fort Payne, Alabama is one of the "elite" restaurants featured in the Alabama tourism's brochure, 100 places to Eat in Alabama before you Die. While up in the area, I took out my dog eared brochure and read that the "JoJo Potatoes" are a must try. Potatoes are one of my downfalls, so I had to taste for myself and see if the Jojo's were all they claimed to be. Collectively those in my party ordered BBQ sandwiches, slaw, baked beans, french fries, and the jojo potatoes. We all shared and sampled. The BBQ received good ratings and the sauce was a wonderful accompaniment. I personally preferred the hot BBQ sauce to the mild and didn't find the hot was "sweltering" by any means. The slaw was a mayonnaise based slaw, although not my preference-I prefer a vinegar base, but those that got it found it good. The baked beans were very well received. The jojo potatoes were what I had come for, and they were very good. The Jojo's were round, sliced thin cut potatoes, that have been battered then fried. The were very good -even better when eaten with the specialty secret jojo/chicken finger sauce for dipping. My aunt said the sauce reminded her of a thousand island sauce. I found it to have more of a lightly spicy flavor. While we dined on our lunches, I noticed the carry out specials. I knew that my family at home were preparing to watch the Alabama and Auburn games on TV, so I opted to carry home the chicken finger bucket special for $13.99. The "bucket" consisted of 1 lb. of tender chicken fingers, a tray of the "infamous" jojo potatoes, a pint of slaw (which I substituted for baked beans) , 6 oz of specialty chicken finger sauce and 4 pieces of white bread. I was glad I bought it, for when I returned home the family was ready for a meal and all enjoyed it immensely. If you are interested in trying out the jojo potatoes-or any of the fare mentioned in this review, The Bar-B-Que Place can be found at 1502 Gault Avenue South, Fort Payne, AL 35967 (directly off of Highway 11) in a very unassuming little brick building. Looking for a great place to get a Christmas tree? We LOVE where we get ours each year. It's a one-man show - this guy drives to Michigan and brings back the most gorgeous trees - Black Forest Trees. They are perfect in every way - and, we've found, that if you water them with a little Miracle Grow mixed in, they'll grow tiny pine cones by Christmastime! This year, he's set up on Highway 31 in Hoover in front of Doctor Jimmy Blake's old office (next to Golden Rule BBQ). He supports Jimmie Hale with his tree sales, and you can bring 5 cans of food for a small discount as well. The trees aren't cheap, but they're worth it - they easily last - and grow pinecones - throughout the Christmas season! Where are your favorite places to get Christmas trees? I was not paid or compensated in any way to write this post - it's just my opinion. The wonderful restaurant reviewed here before, The Depot, has generously offered a $15.00 gift certificate to one of our readers! Located in the heart of Old Town Helena and nestled comfortably near the Buck Creek Waterfall sits one of the Birmingham area's best kept family restaurant secrets, The Depot. It's memorable hometown cooking and a friendly atmosphere keeps patrons coming back for more. Considered an integral part of the community by most, it is often host to party-size gatherings for sporting team outings and various other groups. 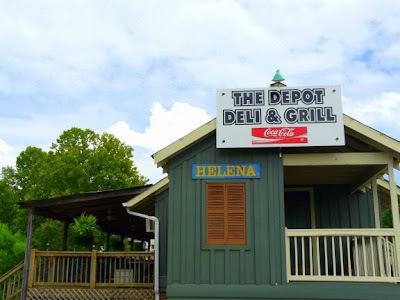 A visit to the Helena Depot Deli & Grill gives you a taste of what has made Helena, AL one of the most desirable places to raise children (ranked 13th on Business Week's 2007 list of Great Places to Raise Kids) in the country. 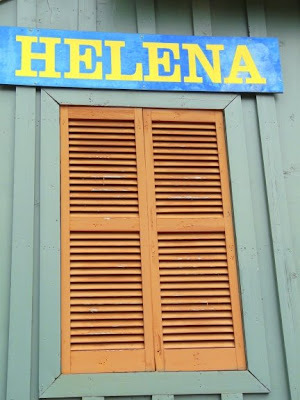 And by a 2009 Money Magazine article which listed Helena in the top 100 places in which to live in America. Those accolades can all be confirmed by a single trip to the Depot. The place to go, be, see and be seen in Helena. It's where all neighbors converge, break bread and talk about what's in the news. The South and North Alabama Railroad Company constructed the Helena Freight House and Depot about 1872 while repairing damage inflicted by Union raiders in 1865. The original location of the structure was just north of the present railroad crossing. When a new depot was constructed around 1905, the building was moved by C.T. “Tom” Davidson to a site behind his house where he used it for storage and a work shop. From 1872 to 1905, this building served as the hub of activity for the area. Most goods and people arriving or departing from Helena passed through this depot. It is one of the oldest structures remaining in town surviving the disastrous 1895 fire, the tragic 1933 tornado and numerous floods. It was moved to its present site in March 1999. Today, it is where you can find Matt and his crew grilling up some of the best burgers and chicken in town. My friend, Jack Gray swears by the polish sausage, "the best! ", he insists. The Depot is certainly a place where "everyone knows your name". It's "hometown" at it's best! It also has one of the best views in town, perched atop of the banks of Buck Creek. From the back porch, enjoy the sound of the rushing waterfall as you eat one of the best burgers you will ever have. The Depot...it's the place to go in Helena! Click: Photography of Helena images is available for purchase at my Smug Mug Site, Photographic Memories. To enter this contest, simply comment on this post!!! This contest is open until Monday, December 14th. A winner will be randomly chosen and announced on Tuesday, December 15th. Good luck! !